Your home deserves the kind of siding that will protect it from the elements for a long time and stay looking good while it does so. Engineered wood is a popular siding product, but doesn’t hold a candle against the advantages that fiber cement siding offers. Twin Cities Siding Professionals shares the following video, which explains why you should choose James Hardie® siding for your home. Moisture-Resistance — Engineered wood is made of compressed wood fibers, which readily absorb moisture. While engineered wood can be coated to minimize moisture absorption, it’s not as efficient as fiber cement. Fiber cement siding helps avoid moisture-related problems, such as swelling and warping. Structurally Stable — Fiber cement siding expands and contracts evenly when exposed to climatic changes, precluding warping over time. James Hardie fiber cement siding also has better impact resistance. Weather Resistant — Thanks to the HardieZone® System, homeowners across the country get siding that’s engineered for the local climate. Minnesota is designated as being in the HZ5® zone, meaning you get siding that’s optimized for cold climates. Adding these same features to materials like engineered wood is simply impractical. Requires Virtually No Maintenance — Just like quality vinyl siding, James Hardie fiber cement siding requires virtually no maintenance. In addition to being easy to clean, the factory-applied ColorPlus® Technology coating is warranted not to peel, crack or chip during its warranty period. James Hardie offers more than just siding. There are James Hardie fiber cement products for other areas of your home’s exterior such as trim, soffits and fascia boards. All of these have the same features and benefits as their fiber cement siding products, including the climate-specific HardieZone designation. Also, James Hardie offers up to 30 years of material warranty, the best siding warranty coverage in the business. 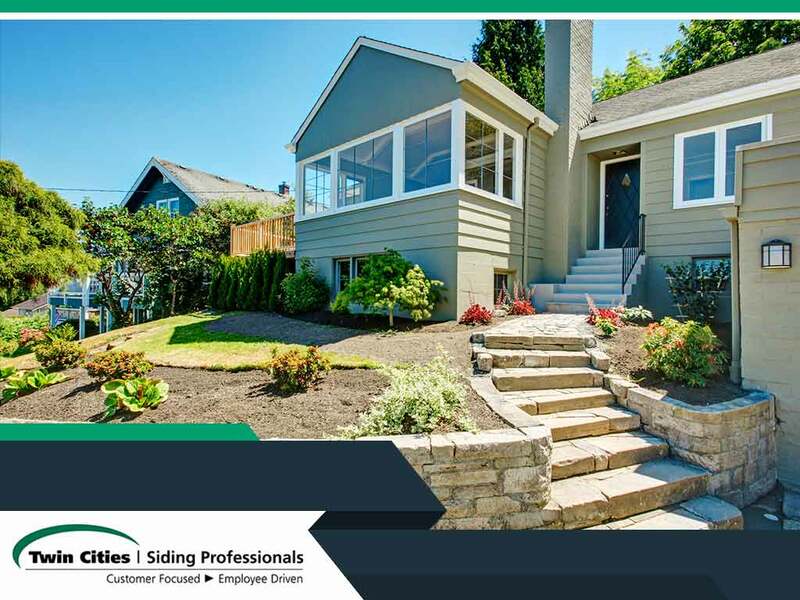 Twin Cities Siding Professionals is a James Hardie Elite Preferred™ Contractor that can fulfill all your siding needs. Give us a call at (651) 967-0873, or fill out our contact form. We serve clients in Minneapolis, MN, and surrounding areas.